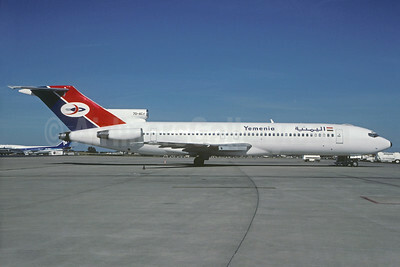 (formerly Yemen Airlines and Yemen Airways) (IY/IYE) (Sana'a) 1978 - Current (operations occasionally suspended due to fighting). Photos. Framable Color Prints and Posters. Digital Sharp Images. Aviation Gifts. Slide Shows. 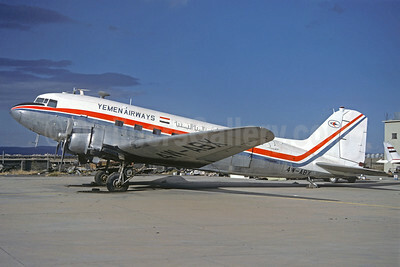 Yemen Airways Douglas C-47A-DK (DC-3) 4W-ABX (msn 13335) (Christian Volpati Collection). Image: 930311. 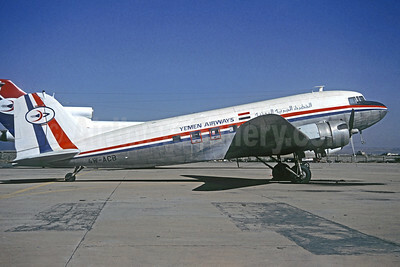 Yemen Airways Douglas DC-3 4W-ACB (Christian Volpati Collection). Image: 930310. 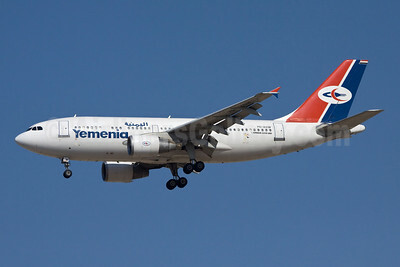 Yemenia (Yemen Airways) Airbus A310-222 F-OHPQ (msn 318) ORY (Jacques Guillem). Image: 930308. 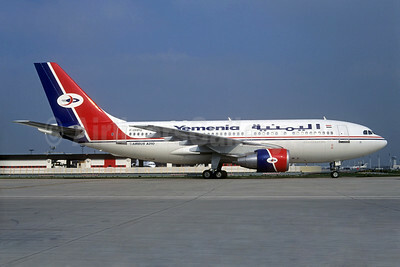 Yemenia (Yemen Airways) Airbus A310-324 7O-ADW (msn 704) DXB (Ole Simon). Image: 913897. 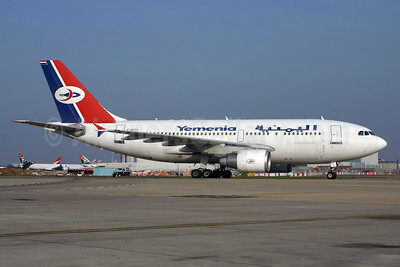 Yemenia (Yemen Airways) Airbus A310-324 F-OGYO (msn 568) LHR (SPA). Image: 927025. 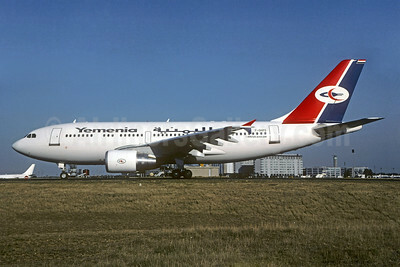 Yemenia (Yemen Airways) Airbus A310-324 F-OHPS (msn 704) CDG (Christian Volpati). Image: 930309. 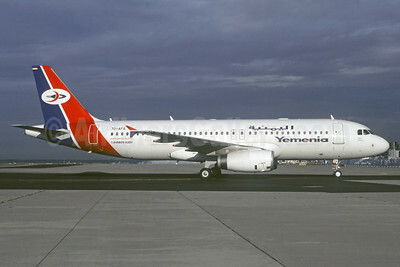 Yemenia (Yemen Airways) Airbus A320-233 7O-AFA (msn 4653) (Jacques Guillem Collection). Image: 911010. 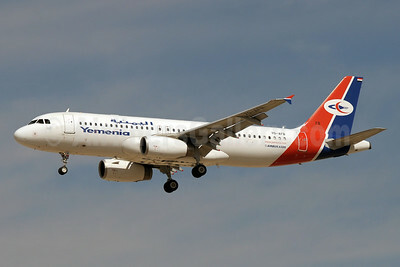 Yemenia (Yemen Airways) Airbus A320-233 7O-AFB (msn 4690) DXB (Paul Denton). Image: 911011. 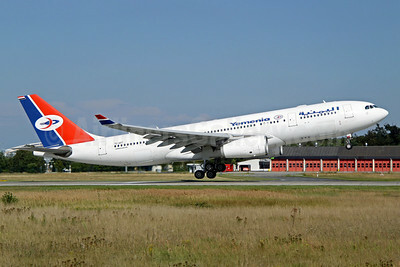 Yemenia (Yemen Airways) Airbus A330-243 7O-ADT (msn 632) FRA (Pascal Simon). Image: 904599. 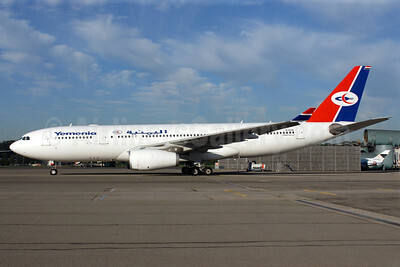 Yemenia (Yemen Airways) Airbus A330-243 EI-EOK (msn 627) ZRH (Rolf Wallner). Image: 907186. 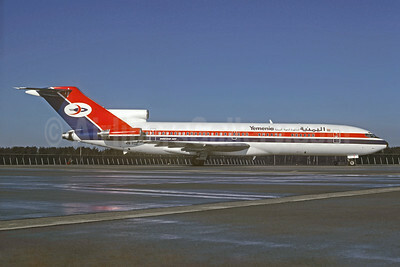 Yemenia (Yemen Airways) Boeing 727-2N8 4W-ACF (msn 21844) LGW (SM Fitzwilliams Collection). Image: 911012. 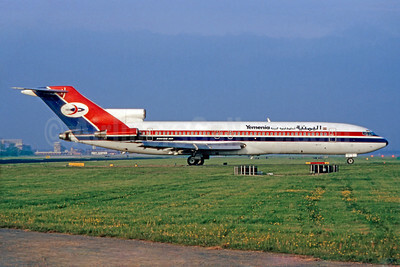 Yemenia (Yemen Airways) Boeing 727-2N8 4W-ACJ (msn 21842) CGN (Christian Volpati Collection). Image: 930312. Yemenia (Yemen Airways) Boeing 727-2N8 7O-ACY (msn 21847) CDG (Christian Volpati). Image: 930313. 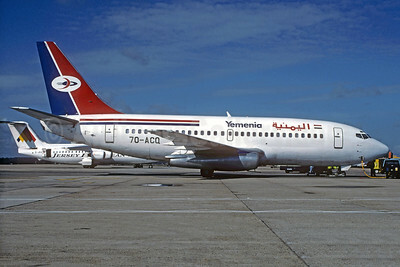 Yemenia (Yemen Airways) Boeing 737-2R4C 7O-ACQ (msn 23129) STR (Christian Volpati Collection). Image: 930314. 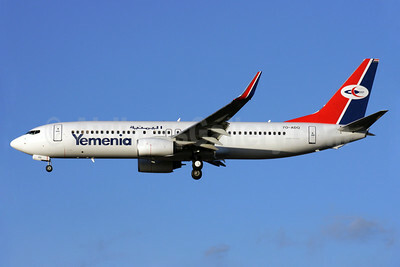 Yemenia (Yemen Airways) Boeing 737-8Q8 WL 7O-ADQ (msn 30730) LHR (Antony J. Best). Image: 902251. 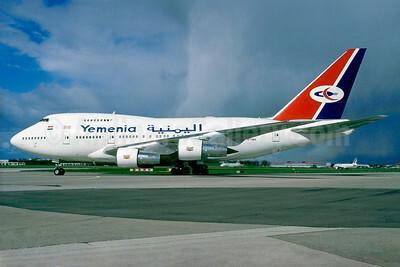 Yemenia (Yemen Airways) Boeing 747SP-27 7O-YMN (msn 21786) LHR (Antony J. Best). Image: 900758. 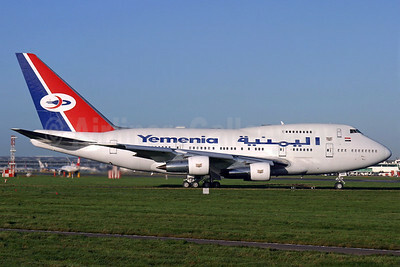 Yemenia (Yemen Airways) Boeing 747SP-27 7O-YMN (msn 21786) LHR (Antony J. Best). Image: 944465. 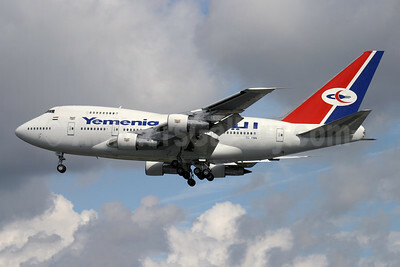 Yemenia (Yemen Airways) Boeing 747SP-27 7O-YMN (msn 21786) ORY (Jacques Guillem). Image: 930315. 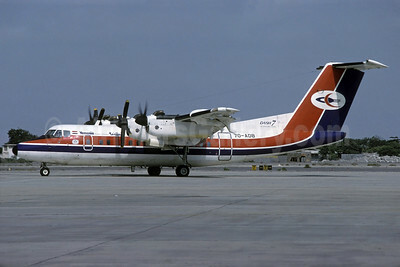 Yemenia (Yemen Airways) de Havilland Canada DHC-7-102 Dash 7 7O-ADB (msn 35) ADE (Rolf Wallner). Image: 913898. 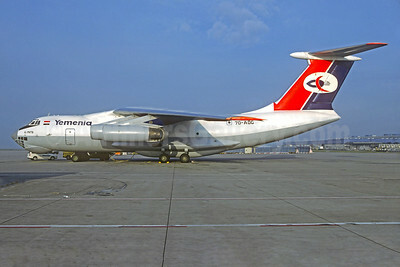 Yemenia (Yemen Airways) Ilyushin Il-76TD 7O-ADG (msn 1033415497) MUC (Christian Volpati Collection). Image: 930316.